Aargh! Another city wants to regulate parking prices? I reported before that cities in Indonesia, China and Vietnam regulate the prices of private parking facilities. Now Chennai, the largest city in the southern Indian state of Tamil Nadu, is also considering price controls on private-sector parking. Oh dear. I hope they think very carefully first. Can someone please refer Chennai's politicians to my previous post on this issue? All of India's large cities claim to have a severe parking shortage. The low investment returns on parking space prompt some building owners to divert parking to other uses. 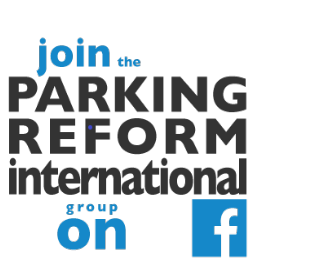 Rising private-sector parking prices are precisely what is needed to get a better balance between supply and demand. Some basic needs might warrant for price controls in some situations (this is another debate!). But it is a huge stretch to claim parking is a basic need, especially in a place like India. Most of the (so-called) arguments for price controls are incredibly feeble. "Initially, the parking fee for two-wheelers at a shopping mall on Radhakrishnan Salai was Rs 5. All of a sudden it was increased to Rs 10. It is high time they were regulated," said PN Peter of Adyar. I gather that Radhakrishnan Salai is one of Chennai's busiest and swankiest shopping streets. Nevertheless, there is at least ONE substantive argument for price regulation which I see popping up (with slight variations) in many countries and which raises some important issues. I don't agree with it but it does deserve some detailed discussion (in another post soon). The argument has to do with the ways in which parking is usually NOT counted as part of floor space which planners allow in a development and is usually NOT subject to the full force of property taxes. These issues may seem a little dry but they are important. If you want to understand parking policy choices you are going to have to grapple with some of the esoteric planning rules which govern parking and property taxes. More on this argument some other time. By the way, I hope this post does not come across badly as an outsider lecturing Indians on how to run their cities. [This blog lectures everyone! Not just Indian cities.] For an Indian perspective on parking policy from a blog that is well worth following, see the latest post from India Lives in Her Cities Too.